Iiiiiit’s Chriiiiistmaaaaas… and the latest Rocksmith song pack is getting you right into the Christmas spirit – whether you like it or not! Rocking up onto the Rocksmith library this week are four more cracking tunes for Xbox One, Xbox 360, PS3 and PS4 players to fully embrace, giving them more chance to learn, play, and eventually master some of the biggest tunes through the ages. 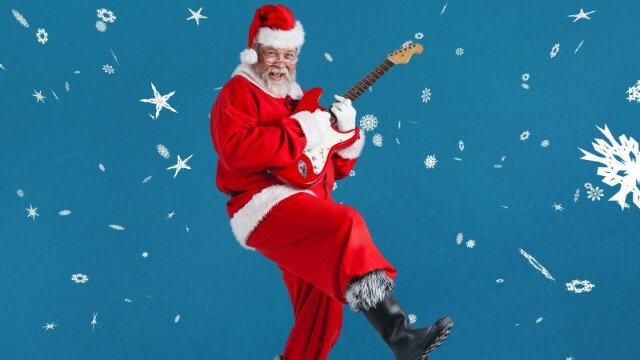 This time round though, we don’t find the focus firmly planted on one band, and instead we build the Christmas hype with the Rocksmith Christmas Classics Song Pack. As always, if you don’t think your wallet can stretch to the full song pack, then you can of course grab each tune individually. Personally speaking, the chance to nail ‘Rockin’ around the Christmas Tree’ (even if it isn’t the Kim Wilde/Mel Smith version), or ‘Rudolph the Red Nosed Reindeer’ are both too good an opportunity to turn down and I’d hazard a guess and say that many others may well be running with that train of thought. With each tune priced at £2.39, it’s good to see the option there. How do you get involved in these Christmas Classics? Well, as always, the Xbox Store will sort out those rockers who wish to don a Santa hat and grab a guitar on Xbox One and Xbox 360, whilst the PlayStation Store will happily be able to provide those strummers on PS4 and PS3 the same chance. If you wish to know more about Rocksmith, then our full review of the 2014 Edition can be read right here. It promises to be the fastest way to learn guitar… and we pretty much agree with that statement. Anyways, if you do decide to get in on the Christmas spirit a little early, let us know in the comments below when you grab the latest song pack. We’d love to hear from you.